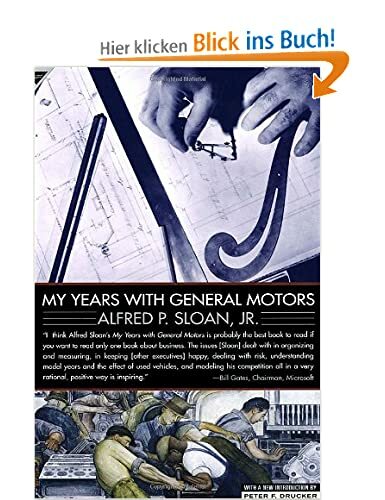 Alfred P. Sloan was the CEO and later Chairman of General Motors for 35 years from around 1920 to 1955. This book contains his memoirs about this time and was released in 1964. It is widely regarded as one of the best “management books”, among others by Peter Drucker and Bill Gates. Normally I don’t like management books so much because I think often the role o the CEO is glorified and used as a lever to maintain multi million bonuses for crappy CEOs. This book however is different. 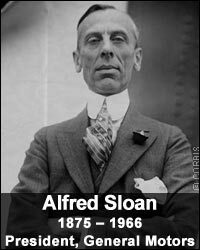 Sloan recounts his career in a “matter of fact” way. There are many remarkable passages in the book, clearly with an emphasis on management and how to organise and lead a large institution. 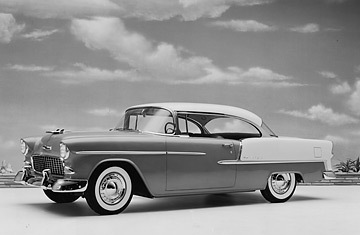 – before GM, he ran a car parts company called Hyatt, where his father invested 5000 USD in 1898. He ran the company. In 1916 he sold it for 13.5 mn USD to General Motors. That is a return of 55% p.a. over 18 years. (this wold be around 300 mn USD today, so he was a very rich man when he started at GM). which, in very short time “killed” the model T. This is a very nice “hidden” story about how wide “cost” moats can be eroded pretty quickly through a change in customer preferences (Nokia anyone ?). – he measured his success for shareholders only to a small extent on the share price developement but much more on how much cash he distributed. Finally, there is also a lot of detail about how cars are constructed, designed, built and sold. So it might also be (partially at least) an interesting read for automobile “buffs”. All in all, it is a very good book. It is a great read for anyone interested in economic history or how to manage a large cooperation. I think it is also interesting for investors in order to understand what challenges are there running large companies and helping to differentiate between well run businesses and bad ones. One caveat: The book is not an easy read, especially the cited board memos are clearly not written with the aim to entertain the readers. On goodreads.com for instance, some (younger ?) guys complain that the book is too hard to read. On the other hand, I don’t know any other book where you can not only read what a very succesful businessman has thought but how he transformed those thoughts into communication and action. This is something, a professor for instance can’t do. apropos “hard to read” es gibt auch zwei gebrauchte Exemplare auf Deutsch, allerdings nur zum Liebhaberpreis.